In all the bakeries that I have visited in different places all around México use the same tray, and that is why I considered this tray as an authentic everyday Mexican object. Eating bread is really important in our Mexican habits. Across the country there are approximately 35,000 bakeries according to INEGI (National Institute of Statistics and Geography). A lot of these shops are small and they make bread with artisanal processes and with knowledge transmitted from generation to generation. 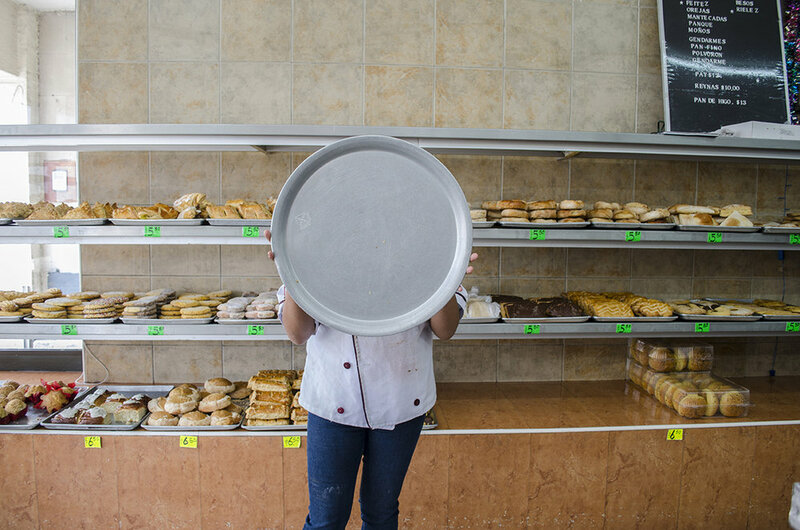 In all the bakeries that I have visited in different places all around México, I have observed that in all of them they use the same tray, and that is why I considered this tray as an authentic everyday Mexican object. 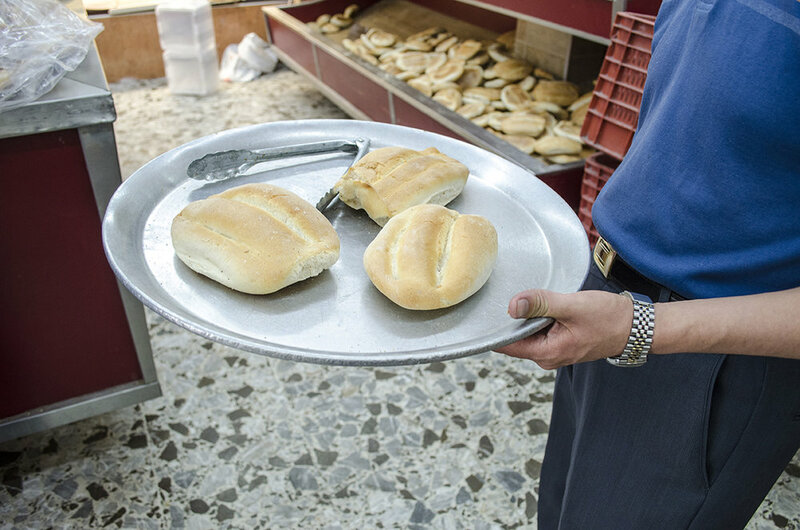 This tray is a key element in the Mexican bakeries because it is used to carry the product that you want while you choose between the broad ranges of bread that exist. Once you finish your selection, you transport the tray to the counter where you pay and receive your bread. 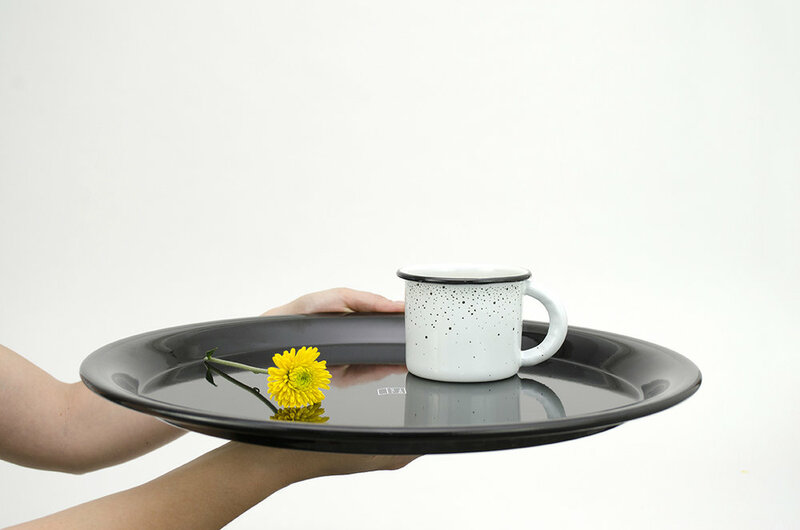 The tray fulfills its function perfectly. It is light, stackable, resistant, easy to carry and it contains perfectly the bread while you transport it. An object so well designed like this one could be used, not only in the bakeries, but also at home. This is why Diario selected four colors that fit in different atmospheres to transport and contain diverse products. 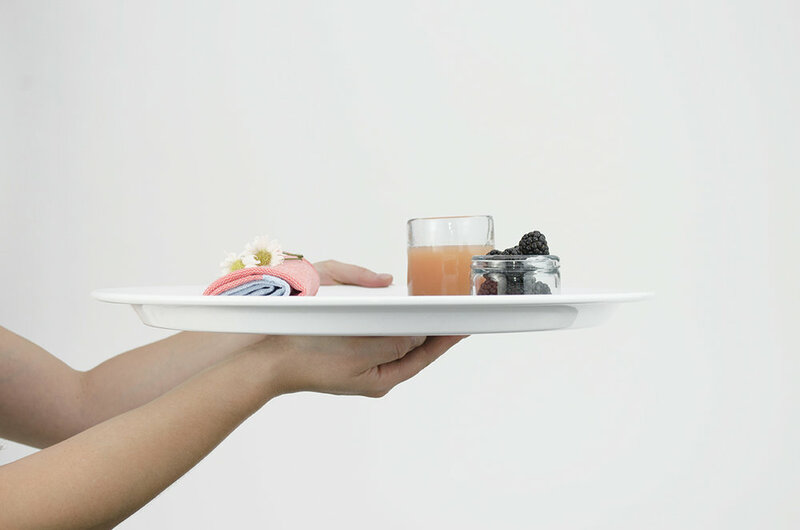 Then transforms the bakery tray into a service tray that can be used at your place, the color coating helps also for protecting in a better way the aluminum from scratches.